Whether you need a Hazardous Materials Plan, New Employee Orientation Program, Injury & Illness Prevention Plan, or customized program, call 661-377-8300! Both State and Federal laws require employers with ten employees or more to have a variety of written safety programs, based upon the needs of the business or industry. These plans can range from the relatively simple Emergency Action Plan to the extremely complex Process Safety Management Program. Regardless of your need or industry, CSTC has the knowledge and experience to create a custom plan tailored to your business' needs. Each plan must be specific to your business in order to maintain compliance with OSHA and your state's Occupational Health authority. At a minimum, each qualifying business must have (and keep available for review by employees): a Hazardous Materials Business Plan, a New Employee Orientation Program, an Injury & Illness Prevention Plan, an Emergency Action Plan and a copy of the Safety Data Sheet for every chemical present at their facility. Depending upon your operation, you may also be required to maintain and document several other written programs: Bloodborne Pathogens, DOT Drug & Alcohol, California Accidental Release Prevention, Risk Management, Respiratory Protection, Fire Prevention Plan, Hearing Conservation, or more. CSTC also has the experience and ability to custom create written safety programs or protocols for any piece of equipment you use or condition that may exist at your facility. Past custom programs include: "Landfill Operations Safety for Heterogeneous Wastes", "Integrated Pest Management", and "Good Handling Practices for Packinghouse Operations." Below is a list of the various written programs currently offered by CSTC. If you have need of a program that you do not see listed, please call and ask for the Written Programs Manager at 661-377-8300 or email us. 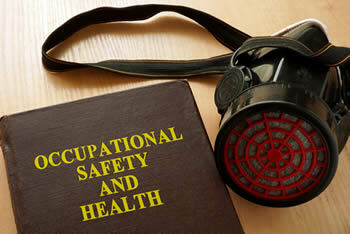 Contact California Safety Training Corporation in Bakersfield CA today. Copyright © CSTC Safety. All rights reserved.